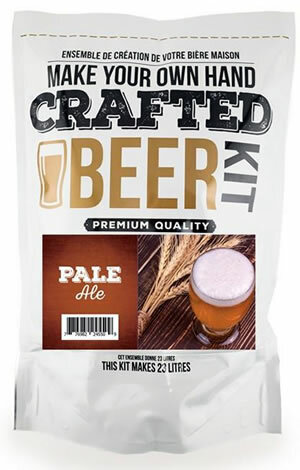 Make 23 litres of hand-crafted Pale Ale. Pours golden with a white head. Pleasant malt aroma with soft fruit undertones. Pours golden with a white head. Pleasant malt aroma with soft fruit undertones. Lovely malt sweetness with a hint of vanilla, well balanced with hop bitterness and clean aftertaste.